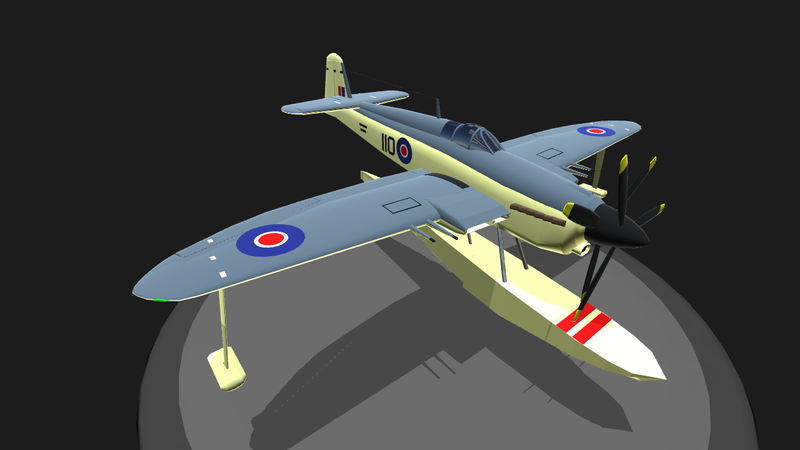 The Blackburn B.44 was an interesting concept drawn up in 1942 in response to growing concerns that, with the fall of Nazi Germany, the UK would have to fight Japan. 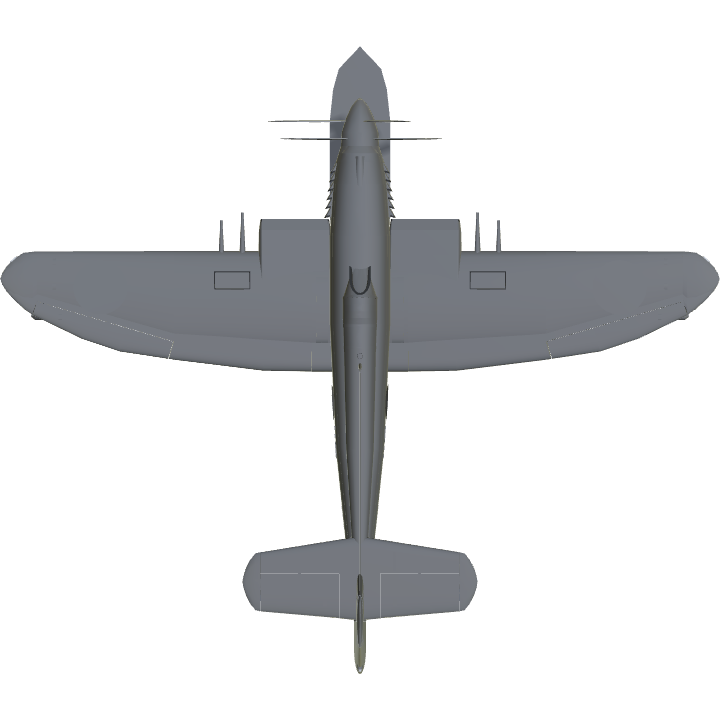 A British campaign in the pacific would have been difficult due to the lack of available resources and infrastructure such as airfields. 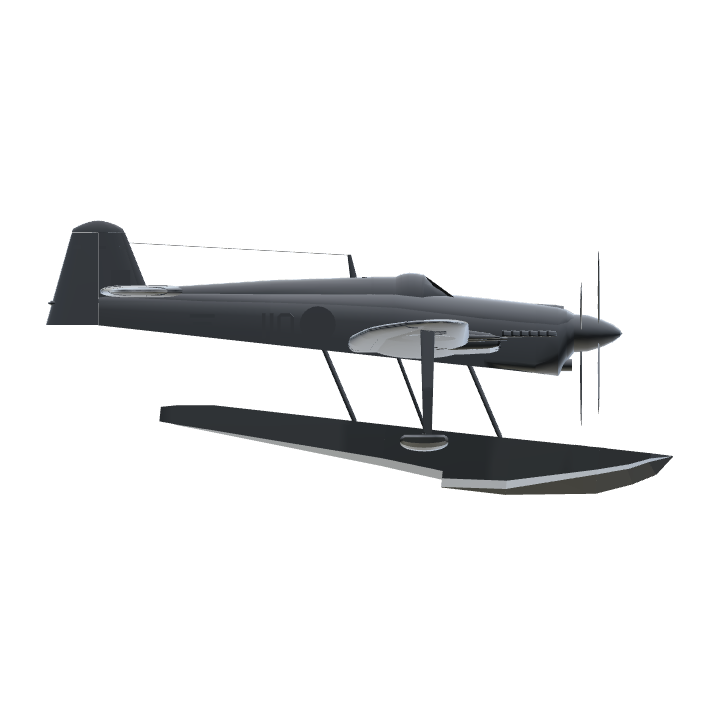 To minimize the use of these, the design was based heavily on the Blackburn Firebrand and was to utilize a retractable float design to solve the performance issues that traditional floatplanes suffered. 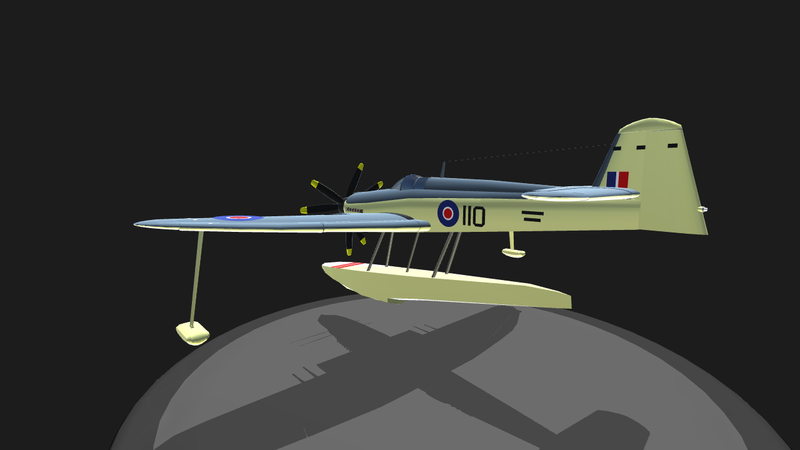 Work began with the Blackburn B.20. 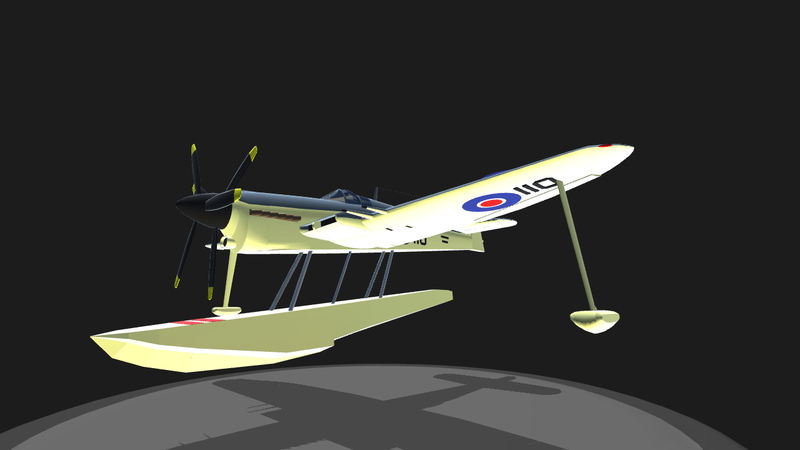 A full size twin engine craft built to test the feasibility of this novel retractable float. The B.20 flew well, but crashed due to aileron flutter totally unrelated to the float design. Wind tunnel tests on a scale version of the B.44 yielded promising results. 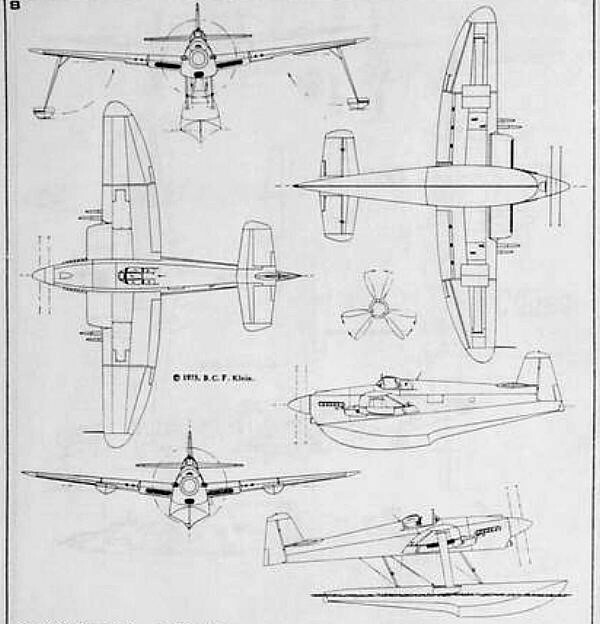 The retractable floats, combined with a 2,200 horsepower Napier-Sabre engine and contra-rotating props was predicted to give the B.44 a top speed of 360mph. 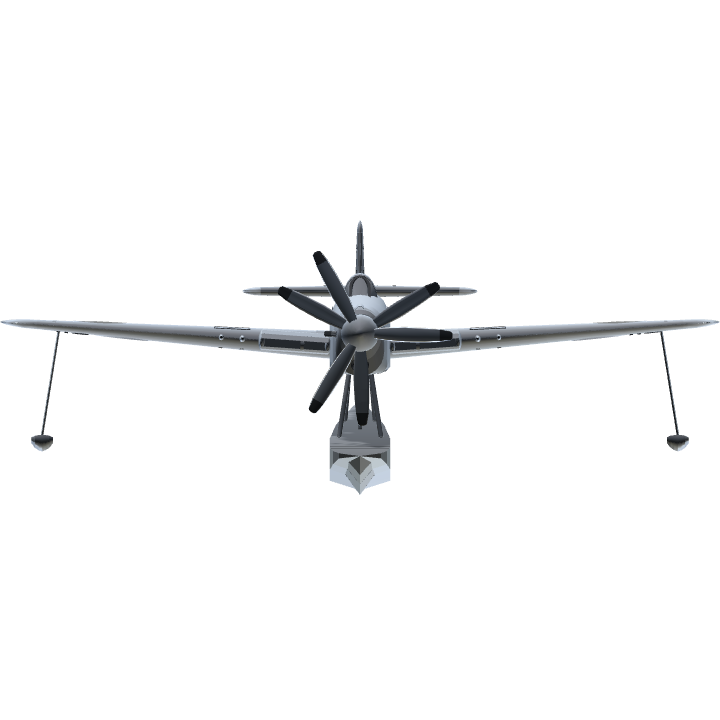 An elliptically shaped wing was chosen to maximize wing efficiency and increase maneuverability. 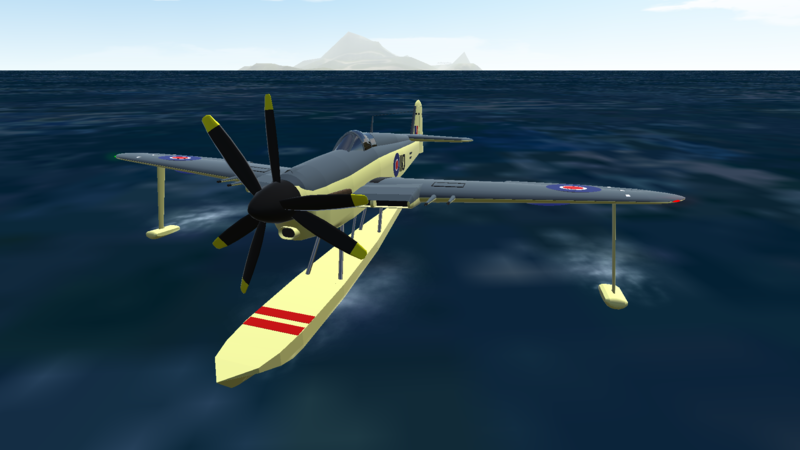 Although perfectly suited to the Pacific conflict, the project was cancelled due to British policy of using aircraft carriers and wheeled aircraft. AG-7 activates gyro to improve control on the water. AG-8 turns Nav lights on off. To slow down on the water/reverse press BRAKE. Other than that normal flight controls. 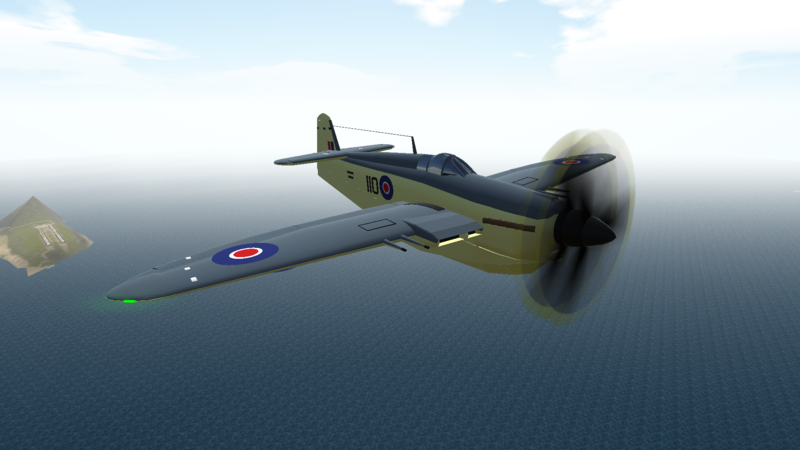 This beautiful aircraft has the highest part count of anything else I've made I think, and is also the first rendition of this plane on this site! 1:1 scale of course. 420 parts, was that planned?? Clever work on those floating blocks! @BACconcordepilot I see what you mean! the sr.a1 was actually born out of this project I believe. Saunders got all the data that Blackburn had and used that to make the a1. @GhostHTX spin as in roll? I like this a lot! But I have one or two comments; 1- the trim is reversed from what one would usually expect. 2- with even a little positive elevator input she wants to enter a spin. Is this happening for anyone else? @AircraftoftheRedStar this man. I got a celeb build on the way too. Having done the B.20 the B.44 was on my radar - don’t think I could have done half as good a job as you’ve done here, this really is beautiful and the functionality is damn good! BZs all round! @Zippy6 Do you mind if I borrow your float?